Massage or massage therapy are systems of hands-on structured manipulation or movement of the soft tissue of the body. Superficial and deep layers of muscle and connective tissue are manipulated to enhance function, aid in the healing process, promote relaxation and well being. The massage system may include, but is not limited to, such techniques as, stroking, kneading, gliding, percussion, friction, vibration, compression, passive or active stretching within the normal anatomical range of movement. Although massage affects the body as a whole, it particularly influences the musculoskeletal, circulatory, lymphatic, and nervous systems. Deep tissue goes beyond the superficial layer of muscle with techniques that are administered to affect the sub-layer of musculature and fascia. 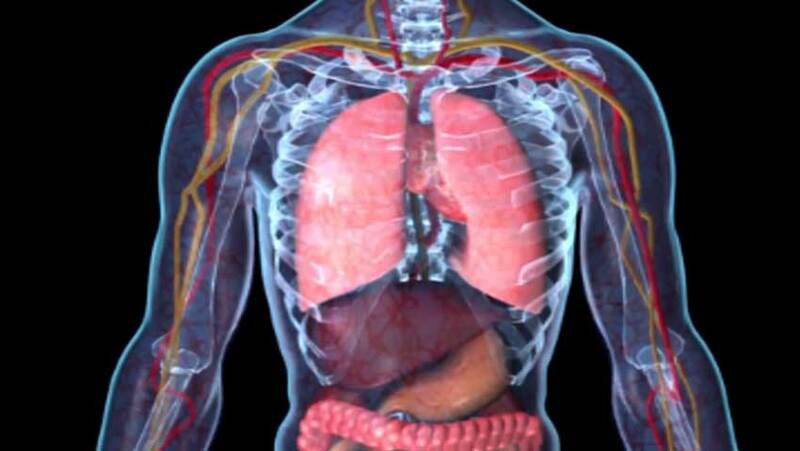 Advanced training and a thorough understanding of anatomy and physiology are required. Deep tissue massage targets knots and helps relieve chronic muscular pain. It also helps with injury rehabilitation, reducing scar tissue, and may reduce inflammation-related pain caused by arthritis and tendonitis in addition to other causes or conditions. It is generally integrated with other massage techniques. MLD is a form of very light massage that encourages lymph flow in the body. It is particularly good for detoxification, edema, pre-and post-plastic surgery and post-liposuction. It can also help with cellulite treatments, scar tissue, spider veins, redness and acne. The lymph system is a slow-moving system of vessels and lymph nodes that is supplementary to the circulation system. It delivers nutrients to the cells and carries away excess water, cellular waste, bacteria, viruses and toxins. MLD stimulates the lymph system with extremely light, circular pumping movements which are very soothing and relaxing. By stimulating the lymphatic system, the therapist helps drain puffy swollen tissues, support the immune system, help the body heal from surgery, and aid in natural waste removal or detoxification. Many methods of massage and somatic therapies are both effective and safe prenatally and during labor and postpartum periods of women’s pregnancies. Specific techniques can reduce discomforts such as headache, low backache, morning sickness, nerve pain, leg cramps, and swelling and edema. The stimulation and circulation of blood and lymph fluids of prenatal massage reduces tissue waste and swelling around the joints. Emotional and physiological well being of both the mother and fetus are enhanced. Studies reveal hormone levels associated with relaxation and stress lead to mood regulation and improved cardiovascular health of both the mother and newborn when massage therapy was introduced on a regular basis.Stress hormones were reduced and serotonin and dopamine levels were increased. This led to fewer complications during birth and fewer instances of newborn complications, such as low birth weight. Skilled touch may facilitate labor; shorten labor time, and ease pain and anxiety. During the postpartum period, specialized techniques assist in rebalancing structure, physiology, and emotions of the mother. Approval from your health care provider is recommended prior to receiving prenatal massage. This is a gentle, non-invasive treatment combining essential oils, back and foot massage, and heat application. Designed to bring the body into structural and electrical alignment it is helpful in correcting defects in the curvature of the spine caused by viruses and bacteria that may lie dormant deep within the body. Antimicrobial essential oils are used to reduce inflammation by killing the viral agents. The seven primary oils are Oregano (battles viruses), Thyme (anti-viral), Birch (bone repair), Basil (muscle relaxant), Peppermint (topical analgesic), Valor (for spinal alignment and muscle problems), and Marjoram (anti-spasmodic). They are dispensed like little drops of rain from a height of about six inches above the back and massaged along the vertebrae. After they are massaged into the skin and reflex points have been stimulated heat is applied to enhance the benefits of the oils. The oils used in this forty-five-minute treatment continue to work for the next five to seven days. The detoxifying process of the raindrop technique helps rid the body of toxins and boost the immune system. Highly relaxing it helps reduce stress, back pain and tension. Sports massage is designed to enhance athletic performance and recovery. There are three contexts in which sports massage can be useful to an athlete: pre-event, post-event, and injury treatment. Pre-event massage is often fast-paced and stimulating, it helps to establish blood flow and to warm up muscles. During the massage, the athlete generally focuses on visualizing the upcoming event. Post-event massage is often immediately following the event or within a day or two post-event. The intent here is to calm the nervous system and begin the process of flushing toxins and waste products out of the body. This can reduce recovery time, enabling an athlete to resume training much sooner than rest alone would allow. When an athlete sustains an injury, skillful massage therapy can often speed and improve the quality of healing. Regular therapeutic massage during training can improve performance and reduce the probability of injury by regularly flushing toxins, increasing flexibility, and promoting healthy tissue function. 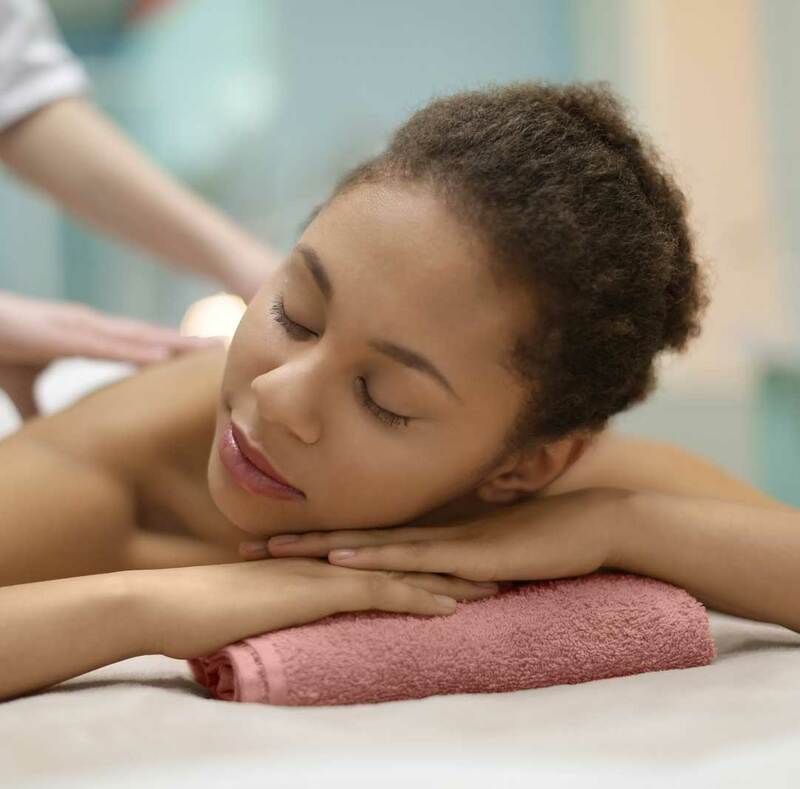 Popularly known as classic massage, this type of massage utilizes five basic massage strokes of gliding, kneading, friction, vibration, and percussion. Primarily used to promote relaxation, ease muscle tension, and enhance circulation as blood is pushed towards the heart for greater oxygenation. It has also been shown to help reduce pain and joint stiffness as well as reduce toxins in the muscles. This is typically a full body massage with light to medium pressure with oil or lotion applied to the skin. Aimed towards a therapeutic outcome this method employees a clinical approach and often utilizes advanced techniques. Pain and chronic health issues are often the focus of a therapeutic massage. Chronic pain conditions such as fibromyalgia, arthritis, sciatica, and poor posture are among the many musculoskeletal dysfunctions this approach may treat. You may benefit from a therapeutic massage prior to a surgical procedure, or during recovery, following a trauma, or simply to improve general health and wellness. Following a health history intake and postural evaluation the practitioner discusses your goals and creates a personalized program with you on how to best help you attain your desired outcome. A variety of techniques may be integrated to best meet your needs. Communication with the practitioner is important to stay on target with you goals and assure you are receiving the best possible treatment. Thai-Yoga massage enhances the free and natural movements of the body through combining gentle, sustained stretching and applied pressure. This form of assisted yoga is believed to open the body’s energy channels and enhance self-awareness allowing deeper levels of consciousness to emerge. Gentle vibration and energy work with the chakras is integrated into a gracefully flowing sequence. Unique positioning with props is incorporated to facilitate myofascial stretching without strain. Synchronized breathing between the client and the practitioner is used to facilitate the depth of the postures and induce a meditative calm state of mind. Thai-Yoga massage blends elements from both the Eastern and Western cultures of bodywork. It is practiced on a comfortable floor mat instead of a table, instrumental in the use of the practitioner’s body weight. No yoga experience is necessary. Except for the feet, the client wears loose comfortable clothing. The effects are cleansing, restoring, and uplifting. This unique treatment incorporates both eastern and western techniques. Soothing, traditional Swedish massage is blended with the gentle stretching and acupressure of Thai massage to promote deep relaxation and provide relief from sore, tight muscles. Bodywork refers to various forms of touch therapies that may use manipulation, movement, breath work, and /or re-patterning to affect structural changes to the body and promote awareness of the mind-body connection. Craniosacral therapy (CST) is a gentle, hands-on method that is effective in facilitating the body’s ability to heal itself. It is proven effective in treating a wide range of medical problems associated with pain and dysfunction as well as to enhance overall health and performance. CST enhances the environment of the craniosacral system. This system extends from the bones of the skull, face, and mouth, which make up the cranium, down to the sacrum or tailbone and consists of a compartment formed by membranes and cerebrospinal fluid that surround and protect the brain and spinal cord. Since this system influences the development and function of the brain and spinal cord, any imbalance or dysfunction in the craniosacral system could cause sensory, motor, or neurological disabilities. Effective for a wide range of medical problems associated with pain and dysfunction including: chronic neck and back pain, eye difficulties, scoliosis, temporomandibular joint syndrome (TMJ), migraine headaches, motor-coordination impairments, learning disabilities, post-traumatic stress syndrome, and other dysfunctions of the central nervous system. CST encourages the body’s natural healing mechanisms to improve the functioning of the central nervous system, dissipate the negative effects of stress, and enhance health and resistance to disease. Using a light touch the practitioner assists the natural movement of fluid and releases restrictions in the soft tissue surrounding the central nervous system. Often the evaluation alone may remove the restriction and allow the system to correct itself. The treatment is usually received fully clothed unless combined with another modality that requires appropriate draping. Recognizing that each person is more than the total components of anatomy, physics, and chemistry and is instead affected by emotions, thoughts, social interactions, mind, spirit, consciousness, soul, and more. Integrative bodywork combines multiple therapies to locate and alleviate health challenges through individual body systems and aim to integrate them into a unified whole. Utilizing a combination of structural manual therapies and functional therapies to restore functional outcome according to the optimal potential of the client. Myofascial Release is the application of sustained pressure and movement into the myofascial system of connective tissue in order to relieve pain and restore function. After visually analyzing the human frame, and palpation of the tissue texture of various fascial layers the practitioner applies gentle and sustained pressure to the area of restriction and facilitates the release of the tissue as well as any emotion or belief system that may be impeding progress. Myofascial release is an effective therapeutic approach in the relief of cervical pain, back pain, fibromyalgia, scoliosis, neurological dysfunction, restricted mobility, chronic pain, headaches, and emotional trauma in addition to other painful conditions. Based on the causal relationship between chronic pain and its source, myofascial trigger point therapy is used to relieve muscular pain and dysfunction through applied pressure to trigger points of referred pain and through stretching exercises. These points are defined as localized areas in which the muscle and connective tissue are highly sensitive to pain when compressed. Trigger points may be hyperirritable and cause referred pain in other areas of the body. Sometimes these points are mistaken for arthritis, tendonitis, or bursitis because of the pain pattern they may mimic. The primary benefit of this therapy is pain elimination and re-education of the muscles to move with pain free habits. Additional benefits include increased circulation, removal of toxins, and improved flexibility. This comprehensive program of soft-tissue manipulation balances the body’s central nervous system with the musculoskeletal system. Neuromuscular therapy (NMT) is a significant methodology for assessing, treating and preventing soft tissue injuries and chronic pain. Physiologic factors such as ischemia, trigger points, nerve entrapment/compression, postural distortions, nutrition, and emotional well being that may create or intensify pain are examined. The goal is to help relieve the pain and dysfunction by understanding and alleviating the underlying cause of the condition thereby restoring functionality of the muscles and joints. Neuromuscular techniques are used to locate and release spasms and hyper contraction in the tissue, eliminate trigger points that cause referred pain, rebuild the strength of injured tissues, assist venous and lymphatic flow, restore postural alignment, proper biomechanics, and flexibility to the tissues. Manipulation of the feet, the hands, or the ears without lotion that corresponds to a system of zones and reflex areas correspond to every part, gland, and organ of the body. Applied pressure is intended to stimulate organs, relieve areas of congestion, and remove blockages of chi, or vital life force energy, in the corresponding area of the body. This is convenient when an area of the body is unable to be touched directly or inappropriate for direct manipulation. Used to stimulate self-healing, reduce pain, increase relaxation, and stimulate circulation of blood and lymphatic fluids. Reflexology is also beneficial with stress-related illness and emotional disorders. Somatic, meaning “of the body”, is a whole body approach that attempts to integrate body /mind and aid in the balance of emotional well-being, as distinguished from a physiology specific approach. Somato Emotional Release is a therapeutic process that helps rid the mind and body of residual effects of past trauma and associated negative responses as the result of accident, injury, or emotional trauma. Following trauma, the body isolates the “energy cyst.” The practitioner helps the client physically identify and expel the energy cyst through resolving unpleasant incidents. Somato Emotional release is often integrated with other forms of bodywork such as craniosacral therapy or myofascial release therapy. This is an ancient method of healing that is known as a unique form of “energy medicine”. One approach involves the conscious use of the energy field of the practitioner to affect the energy field of the receiver. Another uses sound and vibrational instruments to bring about change in the energy field, intended to bring about greater coherence and unity of body, mind, spirit, emotions and energy. Energy Healing promotes healing by balancing the flow of energy and clearing disturbances in the human energy field know as the aura, which permeates and surrounds the physical body. Given that everything is created by energy and we are energetic beings the various methods of energy healing affect the physical, mental, emotional, and spiritual bodies. This is a complimentary method to other treatments that supports healing and well being. Most commonly a treatment is received fully clothed while reclining on a massage table unless combined with another treatment that requires appropriate draping. Acutonics is a non-invasive system of vibrational sound healing rooted in Oriental Medicine and philosophy that utilizes tuning forks and symphonic gongs tuned to the planets, Tibetan bowls, bells, drums, and rattles. Precision calibrated tuning forks tuned to the frequencies of the sun, moon, earth, and planets are applied to acupuncture points, trigger points, and points of pain as well as chakra points and layers of the aura. The goal of acutonics is to connect body, mind, and spirit in the journey toward optimal health, and harmonic attunement with all things in the Universe. Every cell in our body is a sound resonator and lives in a dynamic rhythmic pattern. Each organ has its own cycle and its own pulse and every system has a cycle, rhythm, pattern, and pulse that exist in resonant harmony and sympathy to the cycles of the earth and the heavens. These body systems respond to sound vibration, as do our spiritual, mental, and emotional states of consciousness. In the therapeutic environment a cross-disciplinary approach may utilize this harmonic and spiritually based methodology of energy medicine. It has been used effectively to support individuals with a wide variety of ailments including musculoskeletal, neurological, psycho spiritual, emotional, psychological, gastrointestinal, gynecological, respiratory, and many other chronic and debilitating conditions. Himalayan singing bowls, and wind gongs are the primary instruments in this treatment. Utilized as a tool for clearing unwanted or disruptive energy and welcoming beneficial energy for healing to emerge. The architecture of vibrations and the patterns created by the practitioner allow the recipient opportunity to rest deeply and experience energetic entrainment, meditation, calm state of mind, and expansive consciousnesses while the instruments are played on and/or around the body. Combined with intention, imagery may appear and insights may spontaneously emerge. Blocked or congested energy may become more free flowing and available for creativity and healing. Greater coherence and contentment are often experienced. Balance and alignment in the physical body, the energy centers (charkas), and/or the etheric fields are positive qualities amplified by the harmonics. 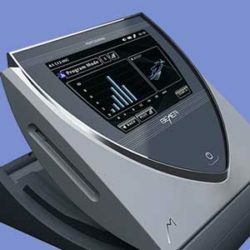 As natural ultrasound produced by the instruments the harmonic frequencies produce benefits for muscular aches and pain, joint discomfort, and stimulate bone growth in fractures in addition to reducing stress and promoting relaxation. Reiki is a gentle, safe, and non-invasive method of promoting relaxation and healing through enhancing life force energy. When life force energy is high we are more likely be healthy and happy. Also known as “laying on of hands” it is beneficial for body, mind, emotions, and spirit. This spiritually guided energy healing promotes feelings of peace, security and well-being. Reiki works well with other therapeutic techniques for medical treatments to reduce side effects and promote recovery. It may be given hands-on, hands-off (above the body), and at a distance. Many people have come to trust the staff at Bodycentric to make an assessment of what you need for your session. So if you are not sure what would work best, let’s have a conversation to find out what will help address your immediate needs.